Chris Shaw went 0-for-2 with one RBI and two strikeouts in his major league debut on Friday. This comes after Shaw slashed .259/.308/.505 with 24 home-runs at Triple-A this year. 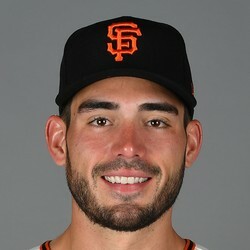 Shaw's worth a shot in NL-only leagues considering Bruce Bochy said he'll be playing everyday.